Have you ever run into such problem, intending to play WMV videos on phones? Generally, you need to convert WMV to 3GP, MP4 for mobile playback. But for common Android phones with smaller storage, you'd better decode WMV video to 3GP on Mac. Why are we doing this and how to finish WMV to 3GP Mac conversion are elaborated clear and clean below. 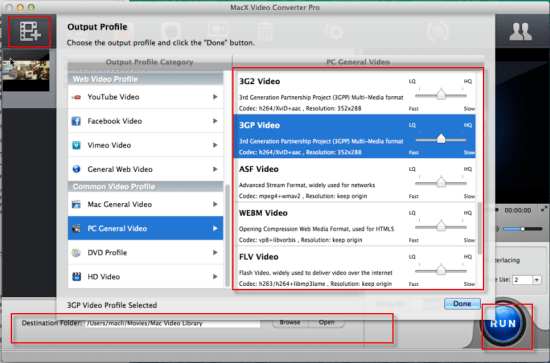 Convert WMV to 3GP on Mac Easy as Pie! Transcode WMV video to 3GP on Mac, just simple mouse clicks to accomplish this task with the best video processing software, 5X faster and all quality unaffected. WMV: a compressed video compression format for several proprietary codecs developed by Microsoft. It can compress large video files yet retaining considerably high quality. If you have a computer with Microsoft Windows operating system of 98 and up, you should have no problem playing WMV files. But for Mac, things are quite different. 3GP: a multimedia container format defined by the Third Generation Partnership Project (3GPP) for use on 3G mobile phones but can also be played on some 2G and 4G phones.More specifically 3GP is the File format that is used for video streaming through the mobile phone, making it possible for those using the File Format on their mobile phones to watch videos and even create videos using the 3GP file format. To sum up, WMV cannot be play on phones, but 3GP can. And 3GP takes less storage space on Android phones with similar video quality compared with MP4. In this case, if you received some WMV videos that your friends send through email on your Mac and desperately want to enjoy them on mobile phone, the first thing you have to do is to decode video from WMV to 3GP format on your Mac. Well, here is the solution to do you this favor. 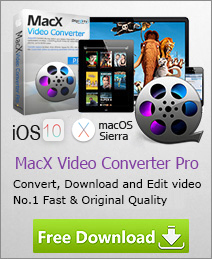 MacX Video Converter Pro offers you an easy way to convert WMV files to mobile phone compatible format like 3GP on your Mac. And on top of that, you can finish the video conversion on your Mac with a wink while holding superb video quality. In the meantime, if you want to decode WMV to iPhone Xs/X/8/7/Plus, iPad Pro/mini 4, Apple TV 4, iOS device or Android device, it also makes it possible in a couple clicks. After free download WMV video transcoder for Mac and launch it, click "Add File" button and locate the WMV files. Since you want to convert WMV to 3GP on your Mac, fist of all, click "to Mobile" button to select your target mobile phone like Samsung Galaxy S9, HTC 10, Sony Xperia Z4 etc. Then click the output format "3GP". You can also change audio and video parameters as you wish. After finish the above steps, click the "RUN" button to start transferring WMV video to 3GP format on your Mac OS X, you could view the conversion progress and are able to cancel the converting process at anytime. Notes: For those who would like to download videos on Mac, this top video processing software also does a good job to get what you want. It empowers you to free download online video music from YouTube, Dailymotion, Vimeo, Facebook, Vevo, Instagram, etc. over 1000 video music sharing sites in a flash.